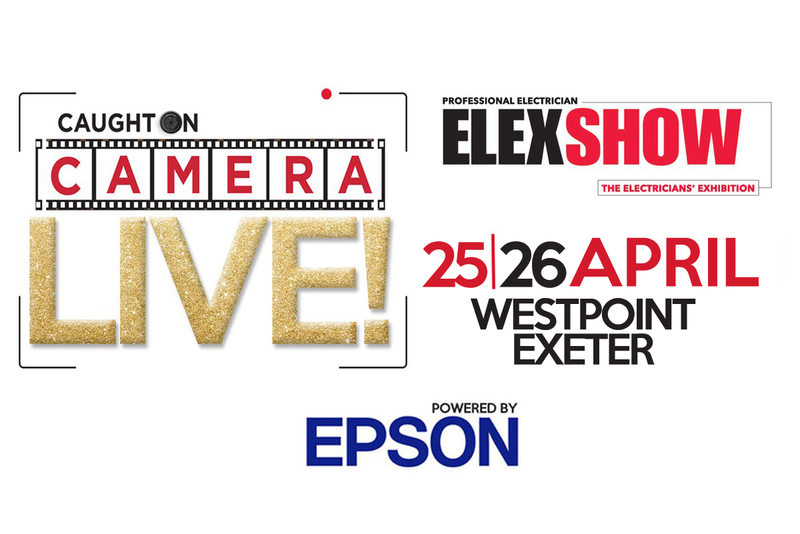 Leaping straight from the pages of Professional Electrician, ELEX Exeter will host the second outing of Caught on Camera Live! Get yourselves down to ELEX! ELEX is in Exeter from April 25th-26th, so make sure you don’t miss out! Entry to ELEX is free to the trades and you can get hands-on with the latest products. If you haven’t already, register for the show by visiting: http://elexshow.info/register/. Bring your very best – and worst – snaps along to include on our Caught On Camera Live wall. Make sure you have your phone in hand, with any images of installations that have made you proud, or some ‘interesting’ workmanship that you’ve found on-site, and we’ll print your entry on our snazzy on-stand Epson printer. Your effort will then be added to our collage of snaps at the show. All of those that make the effort to bring something along for our Caught on Camera Live wall will be automatically entered into a draw to win a superb Epson colour printer. And that’s all you need to do to get involved with Caught on Camera Live! We look forward to seeing you at Westpoint Arena in Exeter. Previous : Lighting: How Do We Solve The Productivity Puzzle?